The third and final volume of the The Samurai Revival Trilogy, set a few years into the future. As Nyunt, Tessa's adopted Burmese daughter, approaches adulthood she decides to take up the sword and become a Peacekeeper. Tessa patiently totors the increasingly headstrong girl. Then, against Tessa's advice, she decides to go back to Burma to trace her family; her new boyfriend goes with her. 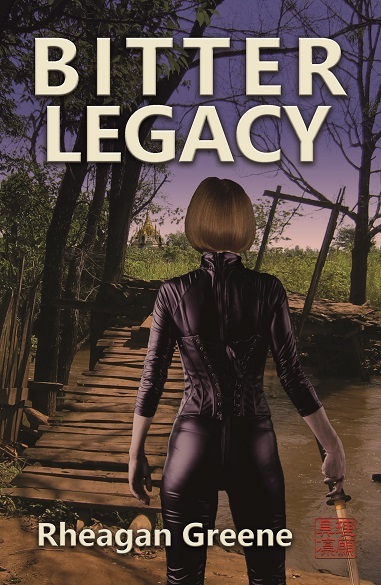 By the time she returns to London, Nyunt is convinced Tessa killed her birth father. A deep rift forms between them and Nyunt walks out. However, after the brutal treatment she has endured Tessa's reliability is called into question, just as the integrity of Japan itself comes under threat. © 2006 Mood Music (MdMsc) recommendations are included throughout in some versions of these novels to provide a further means of experiencing the story and enhancing the reader's enjoyment.